Symptoms of attention-deficit hyperactivity disorder, in particular inattention symptoms, are associated with academic achievement. However, whether and why the developmental course of inattention symptoms (i.e. systematic decreases or increases of symptoms with age) predicts academic achievement remains unclear. A total of 5634 twin pairs born in the UK were included in the current study. We used latent growth curve modelling to estimate the baseline level and the developmental course of inattention symptoms (assessed at ages 8, 11, 14 and 16 years) and test whether they predicted the General Certificate of Secondary Education scores (GCSE, at age 16 years). We then implemented multivariate twin modelling to determine the role of genetic and environmental factors in explaining the relationship between inattention symptoms and GCSE scores. 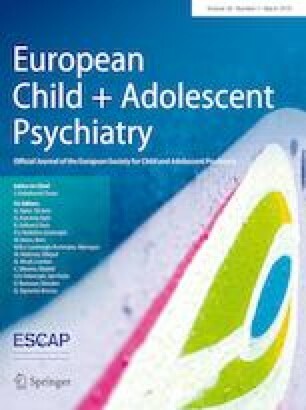 Increasing inattention symptoms across childhood and adolescence predicted poorer GCSE scores independently of the baseline level of inattention. Genetic factors explained most of this relationship, i.e. genetic factors contributing to individual differences in the developmental course of inattention also influenced GCSE scores. In conclusion, our study demonstrates that genetic factors underlying the developmental course of inattention symptoms across childhood and adolescence also influence academic achievement. This may result from indirect mechanism, whereby genetic factors explain systematic changes in inattention levels with age, which in turn impact academic achievement. The shared genetic aetiology may also suggest common neurobiological processes underlying both the developmental course of inattention symptoms and academic achievement. The online version of this article ( https://doi.org/10.1007/s00787-018-1200-6) contains supplementary material, which is available to authorized users. We gratefully acknowledge the ongoing contribution of the participants in the Twins Early Development Study and their families. The Twins Early Development Study is supported by Grant G0901245 (and previously G0500079) from the UK Medical Research Council. EV is supported by a Royal Society Wolfson Research Merit Award from the Royal Society and the Wolfson Foundation. JBP is a fellow of MQ Transforming Mental Health (MQ16IP16). CYL is supported by Overseas Research Scholarship from University College London. King’s College London received payments for consultancy, speaker fees, or educational and research awards from Shire, Flynn, Eli-Lilly, Janssen and Novartis for work conducted by PA. PA receives educational/research awards from Shire, Lilly, QbTech and is speaker at sponsored events for Shire, Lilly and Novartis.